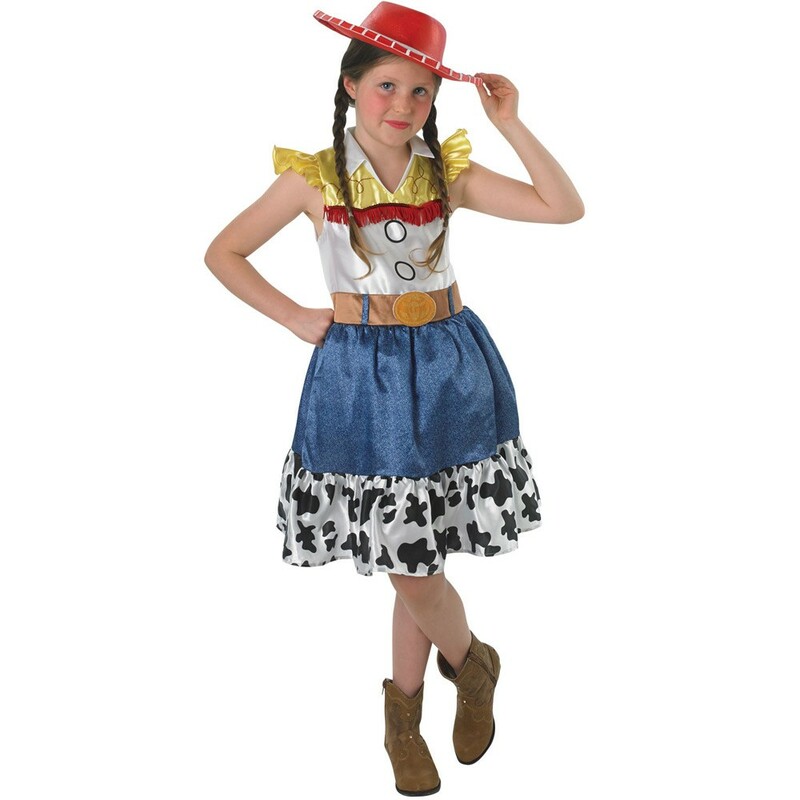 A Kids Jessie Costume including a Dress and Glitter Hat – Ideal for a TV & Film theme, a Cartoon theme, a Cowboy theme, or any fancy dress occasion! 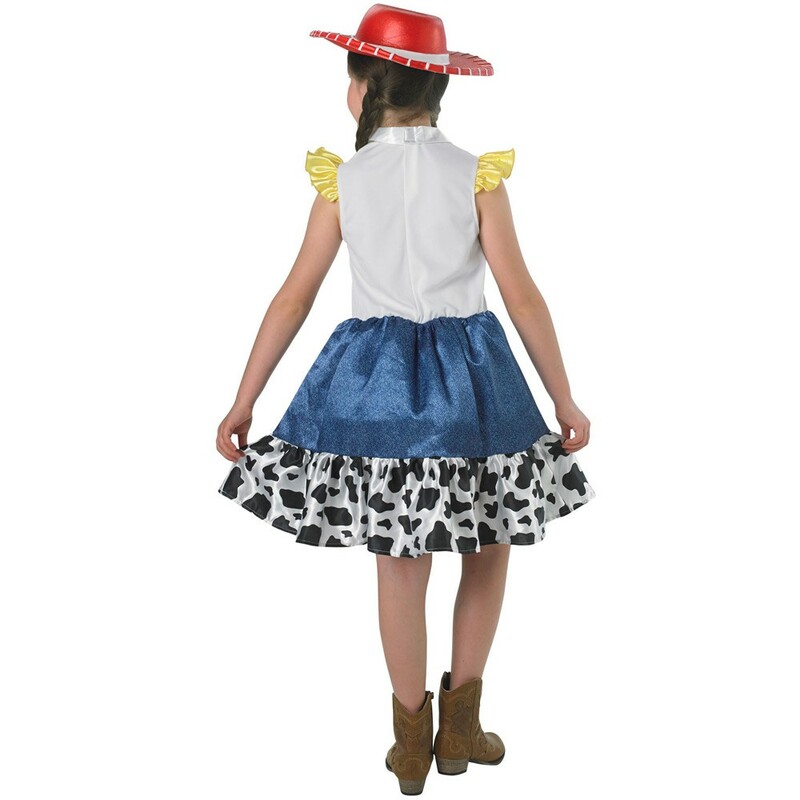 Come out of storage in true cowboy style with this stunning Kids Jessie Costume. This official licensed Kids Jessie Costume comes complete including a Dress and a Glitter Hat. This iconic Dress features a white bodice, with yellow frill sleeves, a white collar, a red fringe trim, and printed button details. The Dress also features a denim effect skirt, with a cow print trim around the hemline, and a printed belt detail. This Kids Jessie Costume also includes a red Glitter Cowboy Hat to complete this fantastic look. Perfect for a TV & Film theme, a Cartoon theme, a Cowboy theme, a Wild West theme, or any fancy dress occasion, this Kids Jessie Costume will be sure to impress no matter what the occasion! So find your other toy friends in style with this fantastic Kids Jessie Costume. Available in sizes 9-10 years. 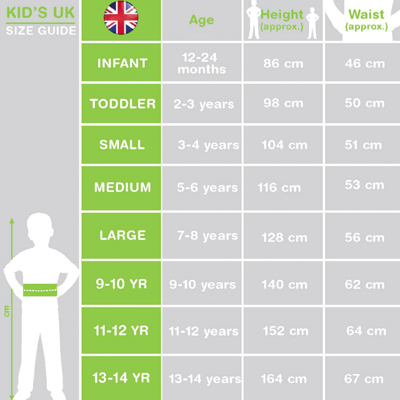 Size guidelines: to fit UK ages 9-10 years. Please note, the measurements in the size chart above are approximate and should only be used as a guide to find your size.